DESCRIPTION: The Todd Johnston Homes website was designed by REDdot Marketing and developed by PTC Computer Solutions. 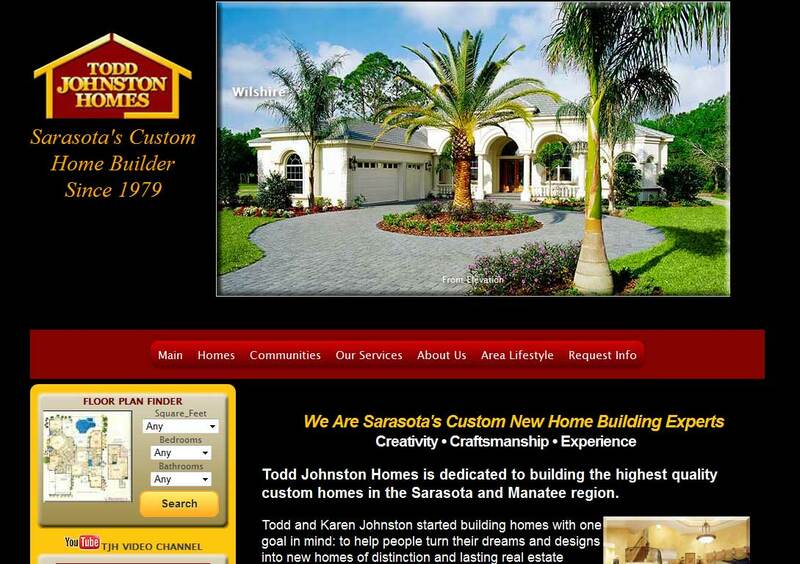 We Are Sarasota’s Custom New Home Building Experts – Creativity • Craftsmanship • Experience. Todd Johnston Homes is dedicated to building the highest quality custom homes in the Sarasota and Manatee region. You can find out more by going directly to their personal website, www.toddjohnstonhomes.com, or contact them directly at info@toddjohnstonhomes.com or (941) 925-4400.